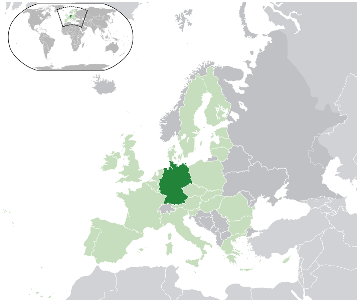 Germany is a country situated in Central Europe with eight countries (Poland,The Czech Republic,Autria,Switzerland,France,Luxembourg,Belgium and The Netherlands) plus the North and Baltic seas boardering it - you can't get much more central than that!. It is the economic giant of the EU and was one of the founding members of the Eurozone, issuing coins from 2002. Prior to the Euro the official currency was the German Mark. The conversion rate to the Euro was set at 1,95583 to 1 Euro on 1st January 1999. 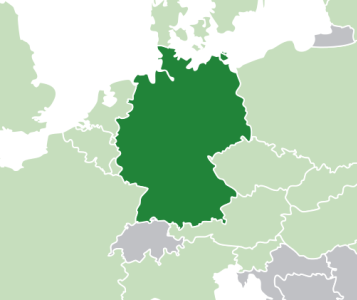 For more information on Germany,try this link. Return from Germany to German Euro Coins.